All products of MORR use Taiwanese functional fabrics - ones that can breathe and are not the usual stuffy materials in the industry. Products are both trendy and functional. The patented double-wearing raincoat and extended shoe cover rain pants are the first in the industry. Bring a more comfortable dressing experience to consumers, the new 3-layer black label streamlined jacket, the cost-performance value is beyond GTX, fashion + function = MORR. 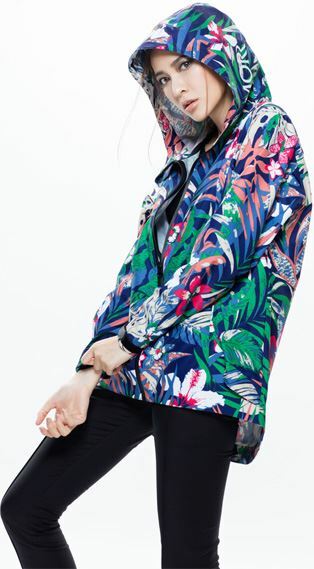 Many consumers may wonder why a waterproof raincoat made of functional fabric has very different price comparing to other raincoats in the market? This is because the fabric used in other raincoats uses cheap PVC coating. PVC glue has good waterproof effect, but it could be stuffy and airtight, poor hydrophobicity can easily cause the surface area to mold and smell. However, the fabric used in all products of MORR has a layer of water repellent agent on the surface so that the water does not remain. In addition, there is a microporous gas permeable coating on the back of the fabric, which contains nano-hole that is much smaller than the water molecules, preventing the water molecules from entering, yet the moisture can be released outside so the body is kept dry and comfortable. In addition to the coating on the back, MORR adds a soft silky layer to make the skin feel more delicate, without a wet/sticky or the discomfort caused by directly touching the coating layer. With such fabric processing, it is three times more expensive than the material on the market. In addition, the increased size of large pieces, as a result, leads to a higher cost of material by 30% more, hence a much more expensive total of the whole cost of production. In addition, the processing of the finished product, taking the reversible raincoat as an example, in order to achieve the 8-second rule, we use 8 sets of expensive magnetic buckle and velcro, which is five times more expensive than the general zipper, plus a complex collar design, The overall production cost is 2 times more expensive than the average raincoat. The overall production cost is much more expensive than the traditional raincoat. Most international brand's functional jacket is 3-5K, however, with MORR’s material + work the price is only at 2.5K. The thin profit is really a result of cutting down marketing cost and as a result, benefit the consumers. 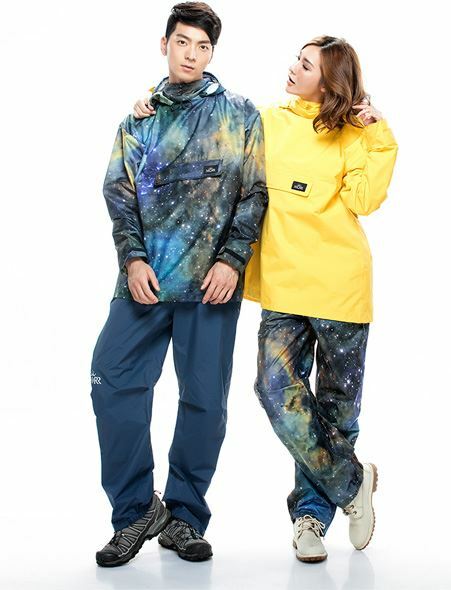 Using the front-open raincoat as an example, in order to prevent the water from entering the waist and abdomen, there is an exclusive four-layer waterproof structure that is more reliable than the ones we see in the market. Since the manufacturer will be more complicated because of the material, the garment factory did not even want to cooperate with MORR at first. Even the sewing workers felt that the work would be too complicated eventually led us to increase the wage. Yet after all these incidents, the raincoats of MORR are still half the price of functional jackets from international brands. Note that the materials and craftsmanship are twice the averages of an international brand – with such cost & performance value – it is really worth buying. In 2017, MORR launched the top black label polar streamlined cut 3 layer fit waterproof jacket, it is the same premium quality of GTX three-layer fabric. The abrasion, wind-resistant fabric + microporous film + fine mesh, three layers of smart technology sticking together. It also uses a high-end seamless fit and laser cutting technology that is widely adopted by international brands. It combines high-tech materials and technology – under normal circumstances, you need a higher budget, however, with MORR’s products, you can enjoy the same protection with less than 7K TWD. The jacket is perfect for mountains of 5,000 meters, or shopping in general, also perfect for any work or traveling. With this jacket – you represent fashion. Even Asian athletes - Miss Lu Chengwei, wore a coat from MORR and climbed the 5,000-meter peak to participate in the 2017 Himalayan Polar Marathon. The products are definitely worth it for the second recommendation. All products enjoy free shipping and free return within seven-day. There is also a three-month warranty – so you can shop without any worry! The designer found that many scooter riders often wear raincoats in a reversible way for convenience, although the front is protected from the rain, the back is often times wet and dripping. Therefore, MORR has decided to use a strong magnetic buckle, which will automatically lock the back pieces, with superb water-resistant function. In addition, using the functional fabric can allow better comforts and breathability. It uses the most premium three-layer fabrics to replace the heavy insulate inner layer – functions like waterproof, windproof and warmth can all be found in this jacket. In addition, the design is simple and sharp, with premium laser cutting and seamless fit technology, combined with the high-tech, trendy, fashion elements of the product, you can wear it anytime, with a friendly price. The front zipper is actually the key to the waterproof function of all raincoat jackets. The waterproof structure on the market is only two layers. The designer of MORR does not hesitate to use the four-layer waterproof structure to completely block the rain. The ultimate goal is your dry and comfortable wearing experience. Patented elongated shoe-cover pants, can prevent you from the hassle of changing outerwear under the rain. The invisible-style shoe cover can fully protect your shoes without a chance of getting wet. Microporous technology is highly waterproof and breathable, and the magnetic buckle has tightly adhered. Easily detachable, it can be worn in both sides – fashion and function can both be found here. Easily self-packed, light and does not take up any space.